So many devices, so little time! I am using Safari to post this from my iPad after connecting it to the camera using the Canon app I downloaded from the App Store. I have been transferring images from the PowerShot with a USB cable to my MacBook Air, using Graphic Converter or Photos. It seems to work OK, only drawback is having to cut the internet connection to connect the camera WiFi. Looks like the app lets you control the camera too. Going to try that, might be a way to make up for the tremor. Still holding off on WordPress 5 and MacOS Mojave updates. This entry was posted in Photos, Technical. Bookmark the permalink. 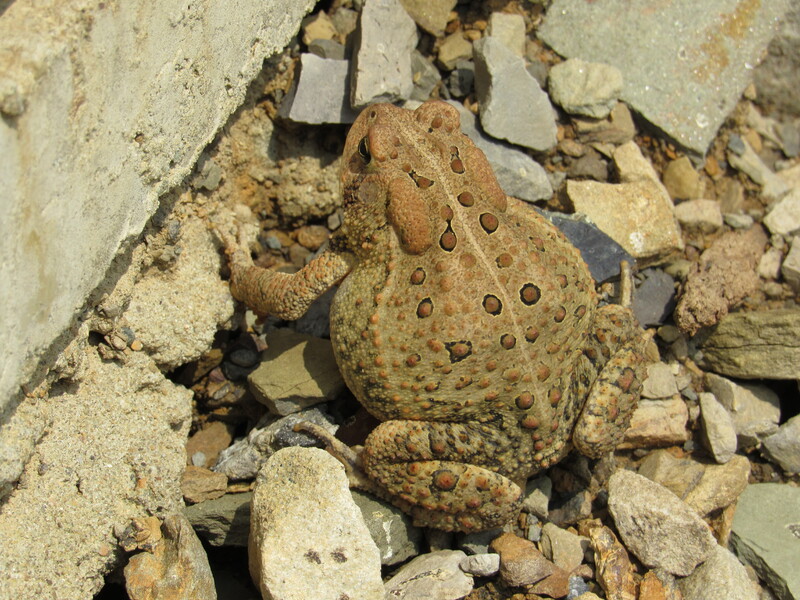 Handsome toad photographed on August 22, 2018.